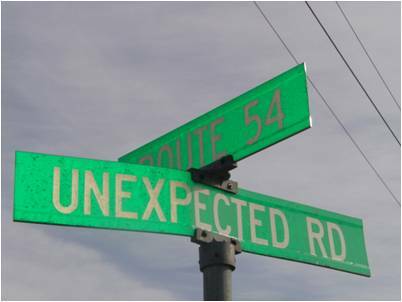 Serendipity: a question of chance? I am frequently asked about the title of my blog: Serendipities of Life. Was my choice of title ‘serendipitous’ itself or was it entirely by design? Anyone who has been following my ramblings for more than a few months, will understand that I have a certain inclination towards cycling.……some might say a personality-distorting addiction. But that’s me……..
Those of you who are, or have been teachers, will understand that the profession carries with it a few stresses and strains, not least when the examination season approaches in the summer term, reports have to be written on every subject for every pupil……..not to mention the frequent meetings, planning groups, policy discussions, lesson planning, homework marking, school trips and departmental outings that occur throughout the academic year………and then, of course, the core activity of teaching 30+ classes per week…….and the list goes on. Teachers all have their own coping mechanisms. What they do in their spare time is often a clear indicator of how they ‘disconnect’ from the mainstream of their professional lives. My principal coping mechanism was to climb on the bike at the end of the day, or sometimes as the sun was rising in the morning, and I would empty my mind through the rhythmic cadence of pedalling and the sight of the countryside streaming by on either side of me. But much more than a mere coping mechanism, cycling became for me a true problem-solving venture. I am sure we’ve all had the experience of hammering away at a problem, spending hours over the imaginary ‘drawing board’, maybe losing hours of sleep in the process of finding the illusive solution……when all that was needed was the opportunity to distance ourselves from the problem and engage in something completely different. Countless times I found myself breezing through the countryside, preoccupied only with the demands of the moment when, unexpectedly, the solution of a problem would pop into my mind, or the appropriate words for handling a tricky situation would come together, or I had the answer to a colleague’s question that had evaded me for a day or two. Some would argue there is a scientific predictability to serendipity (a BBC radio programme recently explored such avenues), that the mechanisms can be put in place to find happy solutions in unexpected circumstances. I don’t take this line at all. The only certainty is that if you metaphorically sit on the couch throughout life, very little will happen to surprise you. On the other hand, if you get out there and metaphorically weave in and out of the traffic of life, tackling the hills and the head winds of the daily routine, taking the odd risk here and there (but without ‘jumping the lights’), you will find that a great deal will happen……..and much of it will be serendipitous. May the winds of life be ever at your back! Cycling does much more than give me exercise. It takes me into little hidden corners of our countryside and gives me the odd lesson in history. Colmworth is a little village in north Bedfordshire that I have cycled through ‘zillions’ of times, but it was only recently that I stopped and discovered a little known historical link. A certain Elizabeth Stewart, born in Colmworth in 1829, emigrated to America and settled in the Marriott Settlement in Utah. There she married and became the second polygamous wife of John Marriott, founder of the Mormon Marriott Settlement in 1855. The Mormons had been a much persecuted religious community, and John had served as bodyguard to Joseph Smith, founder of the Church of Latter Day Saints. Elizabeth Marriott (née Stewart) from Colmworth bore three sons and seven daughters. Her son Hyrum Willard Marriott fathered several children himself, one of whom was J. Willard Marriott, the founder of the international chain of Marriott Hotels. Click here for more information. I love obscure links. They sometimes demonstrate serendipities that make the world and its history even more fascinating. At the heart of my village stands an imposing castle, Kimbolton Castle, the ancestral country home of the Montague family (better known as the Dukes of Manchester). When the Castle was owned by the Wingfields, it was used as the last place of imprisonment of Queen Catherine of Aragon, first wife of Henry VIII, and it was here that she died in 1536. Now, hidden in the sorry episode of Henry’s divorce from Catherine, lie the seeds of a phenomenon that would be eventually exported, via the Holy Roman Empire, to Spain (and many other countries) and is still alive and well to this day: the use of red tape. The first use of the term “red tape” can be traced back to Henry VIII when he besieged the Pope with missives requesting the annulment of his marriage to Catherine. Each of the 80 petitions were individually bound with red tape. The use of red tape was then taken up by Charles V (Holy Roman Emperor) to distinguish important administrative documents from others. And the habit has stuck ever since. Even today, in an age of computerised administration, important state documents are still bound in red tape in Spain.